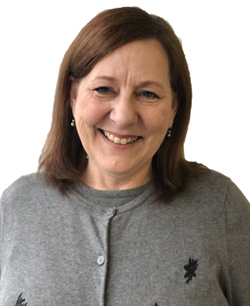 A Senior Consultant with Targeted Leadership, Becky Graf has most recently served as the Director of Secondary Curriculum and Instruction for Charlotte-Mecklenburg Schools in Charlotte, NC. During her time in Charlotte, Becky also served as curriculum specialist, K-12 Literacy Director, and Humanities Director where she oversaw the strategic implementation of new standards, instructional practices, and curriculum for 176 schools. Prior to work in Charlotte, Becky was an independent consultant throughout the US providing professional learning for teachers, principals, schools, and districts to improve instruction, classroom assessment, and curriculum development. With over 30 years of experience in public education, she has successfully taught at the university, public high school, and central office levels. In addition, Becky is a skilled graphic facilitator with the ability to conceptually map conversations, presentations, and trainings and lead groups in strategic planning. Her areas of expertise include literacy, cycles of professional learning, and continuous improvement.